Text Cannot be Normal Summoned/Set. 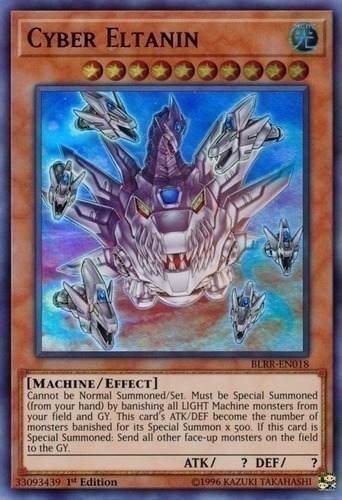 Must be Special Summoned (from your hand) by banishing all LIGHT Machine monsters from your field and GY. This card's ATK/DEF become the number of monsters banished for its Special Summon x 500. If this card is Special Summoned: Send all other face-up monsters on the field to the GY.